By Kristin Masters. Jul 19, 2018. 9:00 AM. 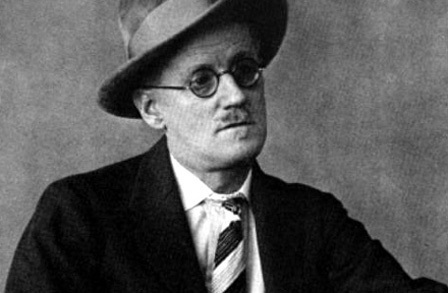 James Augustine Aloysius Joyce was born in Dublin on February 2, 1882. 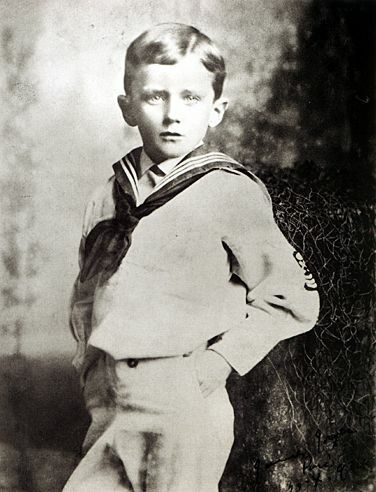 The oldest of ten children, Joyce would eventually renounce both Ireland and the Catholic faith into which he was baptized. Even more than a century later, his works have remained fascinating—and confounding—to critics, scholars, and readers. Joyce's father was a local tax collector, and the family lived in a relatively affluent part of the city. Then in 1891, Joyce wrote "Et Tu Healy" after the passing of poet Charles Stewart Parnell. His father, upset at the Catholic Church's treatment of Parnell, had the poem printed and submitted it to the Vatican Library. His behavior had almost immediate consequences: He was entered in Stubbs' Gazette, which documented bankruptcies, and suspended from work. In 1893, the elder Joyce was dismissed from his position, starting the family's descent into poverty. Subsequently Joyce had to leave boarding school. He came home and studied there until earning a position at the Jesuits' Dublin School, but by the age of 16, Joyce had broken with the Catholic Church. Thomas Aquinas' philosophy remained incredibly influential, however. In 1898 Joyce enrolled at University College Dublin to study English, French, and Italian. Two years later, Joyce was published for the first time in Fortnightly Review. He'd written a positive review of When We Dead Awaken by Henrik Ibsen, whom he'd admired enough to learn rudimentary Norwegian to compose a fan letter. During this period, Joyce went on to write numerous articles, along with two plays that have since been lost. One of these articles, about the Irish Literary Theatre, was censured from the college newspaper. Arthur Griffith of The United Irishman jumped to Joyce's defense, descrying the university's censorship. This article, published in the United Irishman in November 1901, was Joyce's first introduction to the public. When Joyce graduated from University College, he headed to Paris to study medicine. He soon gave that up because the French lectures were too difficult. But Joyce stayed in Paris, drinking and writing. Then his mother was diagnosed with cancer, and his father entreated him to come home. 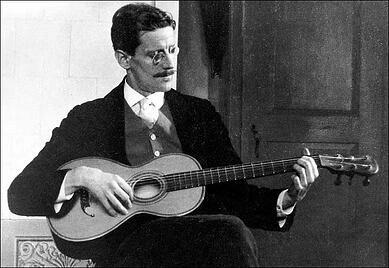 Joyce returned to Dublin, where he adamantly refused to respect his mother's wishes that he confess and make Communion. After his mother passed away, Joyce remained in Dublin, drinking heavily. Many of Joyce's friends and acquaintances from this period would later pop up as characters, especially in Ulysses. For example, one night after Joyce was in a drunken fight, his father's acquaintance Alfred H. Hunter lent the young author a hand. Supposedly a Jew whose wife was unfaithful, Hunter would provide the "bones" for Ulysses protagonist Leopold Bloom. In 1904, Joyce attempted to publish A Portrait of the Artist. In this form it was an essay-story about aesthetics. Dana magazine rejected the work, and Joyce set about revising it as Stephen Hero. But he soon grew discontent with the work, which fictionalized his childhood, and set it aside. Incomplete though it remained, it was published after Joyce's death. These projects, however, were the basis for A Portrait of the Artist as a Young Man. That same year Joyce met Nora Barnacle, a local chambermaid. The two first "stepped out" on June 16, 1904. Joyce commemorates the date by making it the day of the action in Ulysses. The two eloped and moved to Zurich soon after. For Joyce, the move was a self-imposed exile from Ireland. Joyce had been promised a teaching position at the Berlitz Language School in Zurich, but the position didn't exist. The director sent him to Trieste (then part of Austria-Hungary), where, again, Joyce found no teaching position. He finally went to Pola. He and Nora remained there until 1905, when the Croatians discovered an espionage ring and expelled all aliens. Joyce moved his family back to Trieste, where they'd stay for most of the next ten years. Joyce returned to Dublin briefly in 1909 setting his sights on getting Dubliners published and establishing Ireland's first movie theatre, Volta Cinematograph. He came back in 1912, again about Dubliners. He and his Dublin publisher George Roberts had a long-standing feud, and Joyce was again unable to achieve his goals. He returned to Trieste and composed the poem "Gas from a Burner," a roast of Roberts and Ireland. In 1915, most of Joyce's students were drafted to fight in World War I. He moved back to Zurich, where he met Frank Budgen, who'd become an important critic for Joyce as he wrote both Ulysses and Finnegans Wake. Meanwhile, Ezra Pound also introduced Joyce to English feminist and publisher Harriet Shaw Weaver. Thanks to her patronage, Joyce could stop teaching and focus on his writing. Five years later Pound invited Joyce to Paris. It was there that Joyce began to enjoy fame as an avant-garde writer. He became an active member of the Parisian literary scene. Over the ensuing years Joyce would travel often to Switzerland so that his daughter Louisa could receive treatment for eye problems. She also received treatment from Carl Jung, renown psychiatrist and psychoanalyst, who diagnosed her with schizophrenia. After reading Ulysses, Jung concluded that Joyce also had the condition, noting that both father and daughter were "heading to the bottom of a river, but one was diving and the other was falling." Joyce also had his own medical issues. He underwent almost a dozen surgeries due to problems with his eyesight. Maria and Eugene Jolas nursed him through his convalescence as he wrote Finnegans Wake. Were it not for them, he probably wouldn't have completed that work. They also published excerpts of his work serially in Transitions under the title "Works in Progress." In 1941 Joyce had surgery for a perforated colon, but he'd never recover from the procedure. Soon after, he lapsed into a coma and passed away. He was interred in Zurich. Though two Irish diplomats were in the city at the time, neither attended Joyce's funeral. The Irish government would also decline Nora's request to repatriate Joyce's remains. Thus he remains in death, as in life, an Irish exile. Portions of this post were previously published on our blog. Source here.